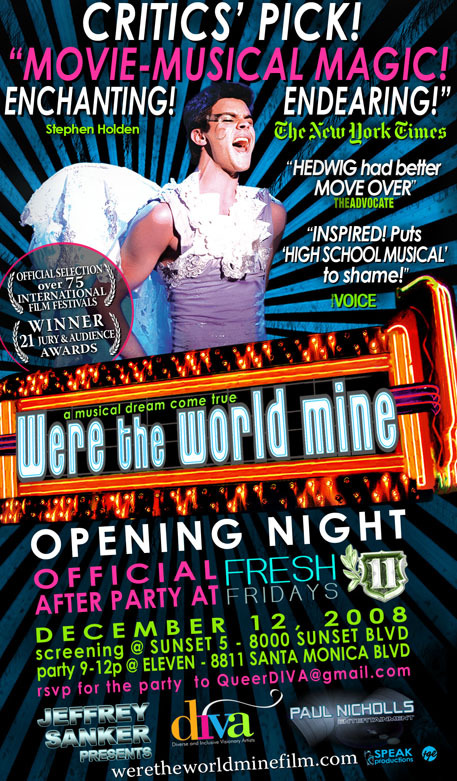 Hey kids, the super-cool film that won OutFest this year — “Were the World Mine” — is opening in LA! You should really see it, especially if you like the “new” movie musicals like “Hedwig” or “Moulin Rouge”. I was on the jury for US Dramatic Features for OutFest this year, and it got my enthusiastic vote as best film.